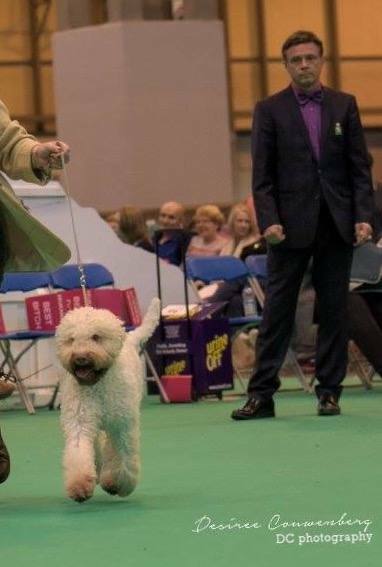 In addition to her numerous show achievements, Tango's training progressed very well, with a Bronze GC at four months old and a Silver GC before her first birthday. Her Gundog training will be tested in 2018 - a keen hunter and retriever with lots of drive. At LKA 2017, Tango gained her first two qualifying scores in KC Rally Level 1 and Rally Level 2. Watch this space! 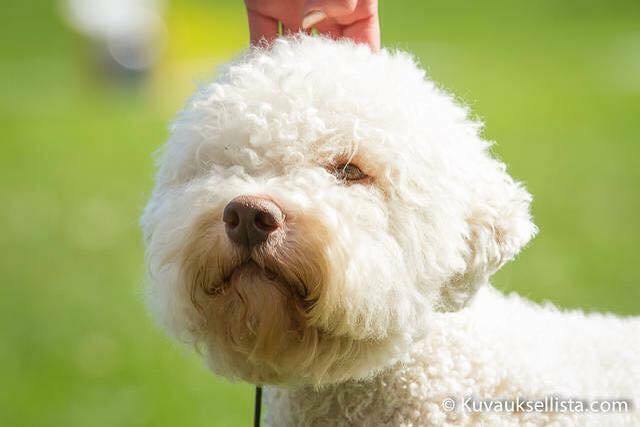 AND HER FOURTH BOB AT SWKA CH SHOW MADE HER UNTOUCHABLE! Judge Ann Moss. THANK YOU JUDGES! Rozebottel's Big Spender (Wouter). Sire of Bedeslea Ticataboo from a beautiful litter born to Tango in 2018. The lovely 'Ted' - Kan Trace Viking Invader - we have plans for Ted and Tango to produce a litter later in the summer of 2019. Crossing fingers for good timing and beautiful puppies! 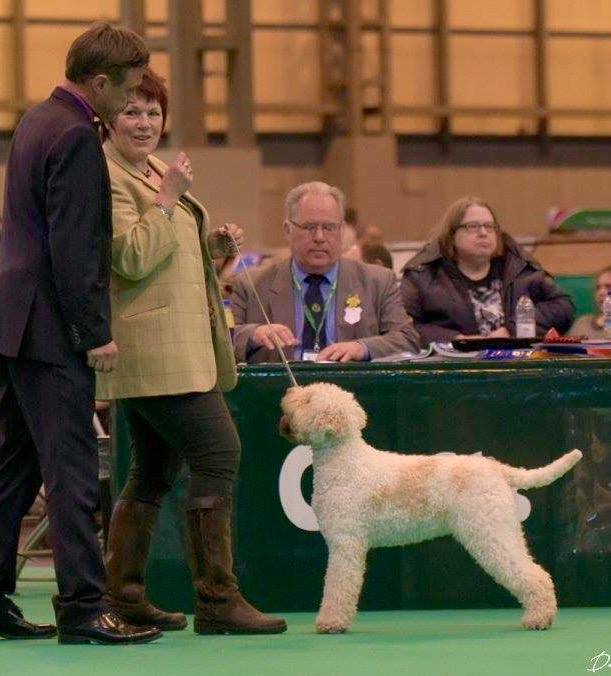 Tango made a late appearance in the 2018 season to take Best of Breed at Gundog Society of Wales Ch Show and in March 2019 gained another 'red card' in her class at Crufts 2019. AMAZING!!!! 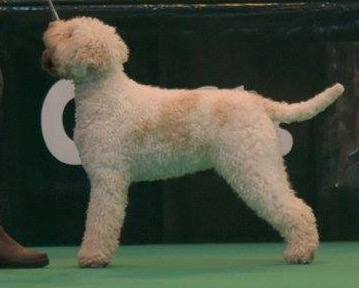 TANGO IS AWARDED BEST OF BREED AT BIRMINGHAM NATIONAL CH SH 2017, UNDER CAROLE COODE!!! 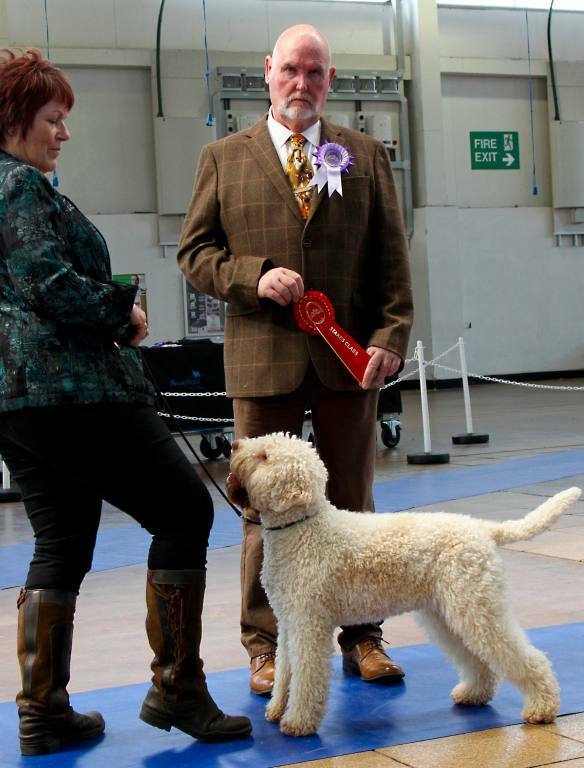 HER SECOND BOB CAME A COUPLE OF WEEKS LATER AT BATH CH SHOW UNDER STUART RANN. BB AWARDS IN AVNSC AT BOTH PAIGNTON AND BOURNEMOUTH. 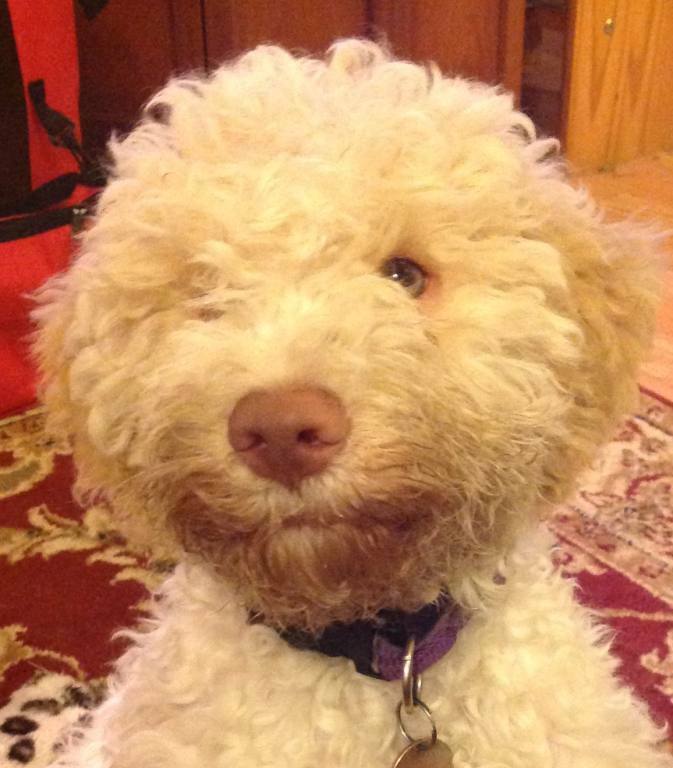 TANGO graduated out of Puppy classes with some super wins! 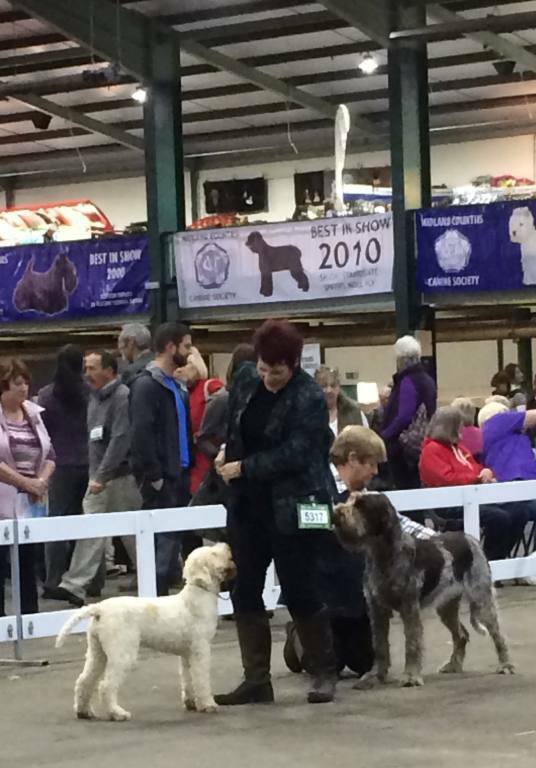 She won the Puppy Stakes at Exeter Open under Alan Mease and a Puppy Group 4 under David Coode. 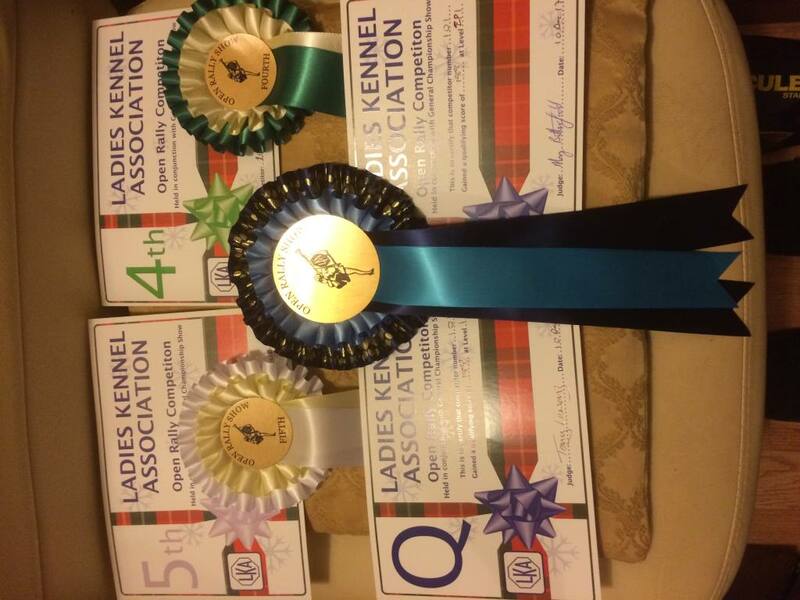 Prize money and a stash of rosettes!!!! TANGO ended 2016 with some nice Open wins and a couple of Puppy Group awards, a Crufts qualification and a BEST PUPPY IN SHOW AT THE LRCGB OPEN SHOW held in conjunction with Midland Counties Ch Show. Thank you, Ray MacDonald! TANGO joined us in June, 2016 and what an impact she has made! Love this girl and her 'full on' attitude! Fun to train and a joy to show! She gained her Bronze GC Award at 18 weeks!!!!! 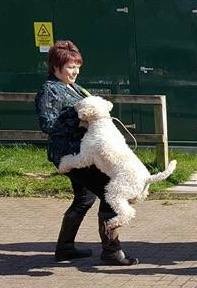 Timtaurn Two To Tango With Bedeslea, Lagotto Romagnolo, joined me in April 2016 and what a terrific time we have had getting to know each other! Tango is fast, focused and full on! Watch this space! She learns quickly and I am trying to keep up with her, both in training and in the show ring! She went straight out at the LRCGB Open Show at 6 1/2 months to win BPIS and qualified for Crufts at Mid Cos on the same day. 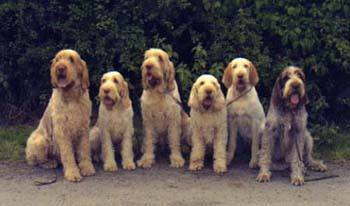 Since that time, she has made her presence felt with two Gundog Puppy G3s at Open level. Looking forward to 2017 with this fun-loving girl. BOB at Richmond 2017 under highly esteemed judge, Dan Erikkson. Tango gained a Qualifier in L1 Scentwork UK at Cornwood 2018. Another 'string to her bow'! TIMTAURN TWO TO TANGO WITH BEDESLEA RL2Ex gained her Rally Level 2 Excellent qualifier at SWGC Open Rally Show on 20/10/18.